Romano Prodi, the former Italian Prime Minister and former President of the European Commission, was interviewed by Aldo Cazzullo for the Corriere della Sera on the current European political situation. 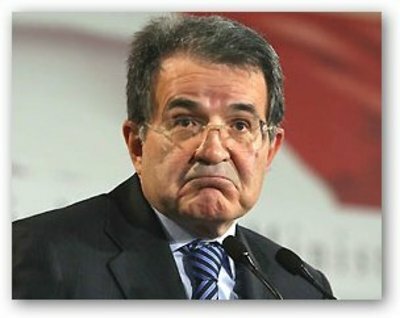 Mr Prodi was not optimistic, calling yesterday the “Black Monday” of Europe in consideration of the worsening Greek crisis, the outcome of the elections in Spain and Poland, and the U-turn of Great Britain and France on the immigration deal which was supposed to help Italy to handle the Sicily Channel emergency. According to Mr Prodi the European Union has become too technocratic and too dominated by Germany. However, on a more positive note Mr Prodi expressed his belief that a Greek default would not affect Italy or the Eurozone too much. Tags: analysis, default, elections, Greece, Grexit, Poland, Prodi, Spain, UK Exit. Bookmark the permalink. Previous post ← Are the Pope and his prelates playing good cop, bad cop?